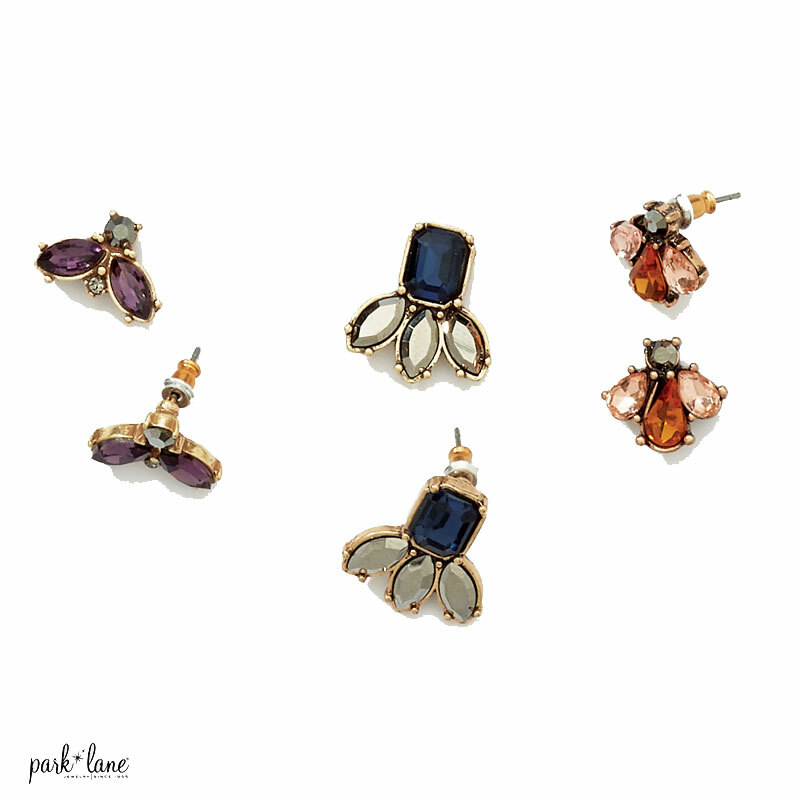 Set of 3 pairs of petite, crystal earrings. 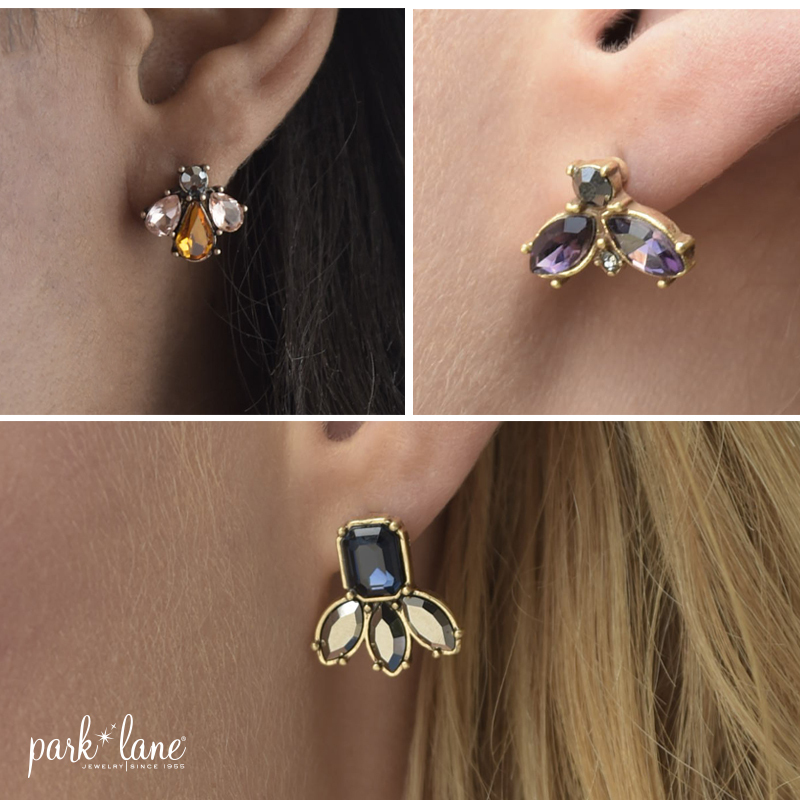 One pair has navy and jet gems; the second pair features amethyst-color wings. Topaz-colored bees fashion the third pair. Sold as a set of 3 pairs.